Pregnancy is different for every woman, but there’s no denying the fact that bringing life into the world and carrying that sweet bundle for nine months sure takes a lot of work—whether physically or emotionally. Some may get to experience the entire pregnancy easier than others will, and of course, everyone wants to be part of the luckier bunch. What if you were told that a little preparation can help make pregnancy, as well as labor and delivery, a lot easier for you? 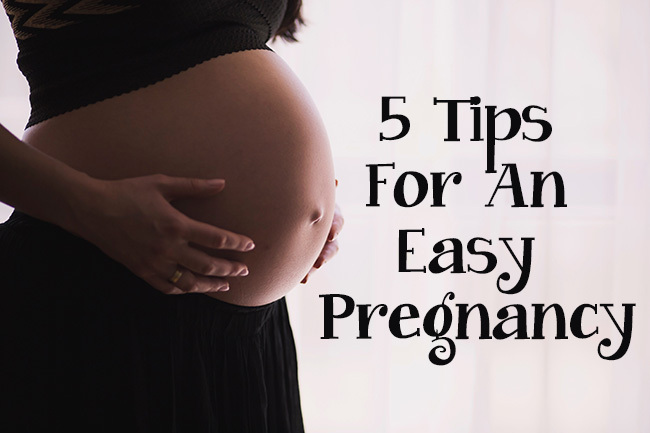 If you’re expecting or still planning to, these helpful tips will prepare you for what’s to come! A whole nine months of your life should be spent with someone you can trust, so if you don’t feel comfortable with your doctor or midwife, better find another health-care provider whom you can connect with better. Pregnancy can be an anxiety-inducing phase, especially if it is your first time and you have little to no idea what to do, so it is best to find a trusted, knowledgeable caregiver who can easily help you overcome your fears. Whether you’re planning on a midwife or a doula, make sure that this person is a good communicator and is someone who respects and supports your choices on childbirth. If you weren’t following a healthy diet before you were pregnant, now is the perfect time to do so. During pregnancy, women will require more nutrients, such as calcium, iron, folic acid, and protein, than those who are not expecting. Not only are these nutrients essential to your baby’s growth and development, but they are also needed to sustain an expecting mother throughout her pregnancy. Some of the nutritious food groups that you should include in your diet are fruits and vegetables, lean protein, dairy, and whole grains. In addition to this, pregnant women are also highly encouraged to take prenatal vitamins daily to make up for some of the nutrients that are difficult to acquire from food alone. Meanwhile, it’s best to avoid some food and beverages that can potentially affect one’s pregnancy, such as alcohol, fish that contains high mercury levels, unpasteurized food, and raw food. One common misconception about pregnancy is that exercise can be harmful to the baby. Actually, staying fit during pregnancy can do you and your little one more good than harm. Labor and delivery require stamina and strength, so it should benefit a pregnant woman to start an exercise regimen. According to the American College of Obstetricians and Gynecologists, pregnant women are encouraged to get at least 150 minutes of moderate-intensity aerobic routine each week. This type of exercise is done such that the large muscles of the body, such as the legs and arms, are moved in a rhythmic way. Moderate-intensity activities include general gardening and brisk walking. Meanwhile, walking, swimming, and prenatal yoga are also great moderate activities to try. However, it is still best to consult with your doctor or health-care provider about your plan to exercise and to consider their professional advice. Throughout your pregnancy, prenatal visits will take up a huge part of your routine. As you go along your pregnancy, every checkup can start to get more and more exciting while you get to know more about your baby each time. Aside from these beautiful thrills, every prenatal checkup holds great importance, as it allows your doctor to monitor your health as well as your child’s health. The recommended schedule for prenatal consultations for healthy pregnancies is one prenatal checkup a month during weeks 4 to 28, one every other week during weeks 28 to 36, and one every week between weeks 36 to 40. Expect to be given certain routine tests during some of these visits so your baby can be properly monitored and assessed. No matter how well you’ve mapped things out for your pregnancy, they can completely change and catch you off guard, so it helps to be open-minded about it when the time comes. For instance, you may be planning on a natural birth, but may end up wanting an epidural once labor strikes. Some moms-to-be may also get additional prenatal tests aside from the routine exams, especially when their pregnancy is considered high-risk. An example of such test is a fetal nonstress test, which is done if your baby’s movements are not as frequent as usual or if you are past your due date. During this test, two belts with sensors will be attached to your abdomen, with an ultrasound transducer measuring the fetal heart rate and a toco transducer measuring uterine contractions. The results of such test will determine whether your baby is receiving adequate oxygen inside the womb. At the end of the day, your pregnancy is how you make it to be. While it is a plus to consider these tips, the best thing to do is to simply enjoy every moment of the ride until your little loved one arrives.